Just got my Hayes stroker trails in the mail. They are prebled but came with no installation instructions. Any tips or tricks i should know before installing them? How to center the caliper maybe? I usually loosen the caliper bolts; spin the wheel, then slowly squeeze the lever until the wheel stops. Tighten the caliper bolts evenly, let go of the lever, spin the wheel and see how it looks. Sometimes I have to look in the caliper slot and do a little fine tuning by loosening the caliper bolts and nudging the caliper towards the side that may be rubbing. In my experience; the pads may rub ever so slightly when they are new; that goes away after a few rides. After a hundred miles or so; I usually do a quick re-adjustment so the brake pads wear evenly. If you have real alignment problems; tear a business card or matchbook in half; stick one half on each side of the rotor; then do the adjustment. If your accustomed to bleeding brakes you know you'll find what works for you using all the information available on the forum. If your new to hydros good chance as some have mentioned you'll stay confused. You may need to shorten one or both of the hoses if this happens fallow the Hayes video. Here's a little more info for you if your brakes squeal. Well i got em installed and took a quick ride around the block and everything seems fine. No rubbing, dings or pings, and no squealing yet but i wont be shocked if they do. What kind of break in do i need to do? I will need to shorten the cables but ill have to order a bleed fitting for the top of the lever to bleed them i think? Is there a vid or diy for shortening cables? Like, how the fittings work , which side to cut from and such? edit, yes these are my first hydros but not first time bleeding and installing. Their are a ton of recipes for break in I just go hit up some DH trails and not worry they'll bed in just fine. You can use the same fitting as the Juicy kit, check a LBS for a spare laying around. Your instructions are good otherwise check the video, shorten the master end. Be careful with the bleed screw and fittings they are sometimes slightly seized/seated and can be tough to loosen. They work pretty well but both ends rub Back to the drawing board on these brakes. I ask myself, "Why do I ever not buy Shimano brakes?" Because you dont know how to set them up properly, dank 5 sets and no major complaints here. Constantly rubbing? or on and off while riding? Either a pad is moving around, or your rotor is not perfectly straight, or you wheel/frame is flexing. I just expect to hear rubbing and stuff cause my frame flexes quite a bit. But constant contact with pad is something i cannot deal with. What happens when you pump the lever?? The levers have hardly any throw and it is almost impossible to get the pads to come out equally creating rub. My Shimano brakes NEVER rub when I'm rubbing. I am going to send them back to Jenson.com and buy some SLX. Just sent an email. I have not got time for high maintenance brakes. Say goodbye Hayes! Cool stick with what works for you and dont bring grief to what you dont rub. You know how it goes when you try something new, so the SLX will be perfect. Iv had bad luck with a friends shimanos while riding his bike occasionally. Rubbing and the occasional pinging, then silence, the pull the lever snd hey squeal like a stuck pig. The a mile later they are perfect. I still havent had time to ride and break the pad in but i did ride to the corner store last night and these things are amazing compared to my avid mechanicals. Im very happy for now. Got these things pretty much broken in and wow, they can be dangerous lol. Time to work on them nose wheelies ayyy. Thats exactly what i was doing lol. 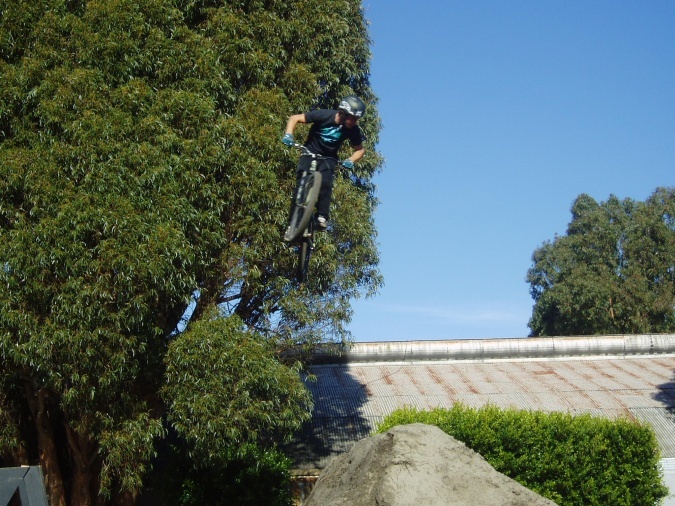 I want to nose wheelie into a 180 for quick turnarounds. Iv got 90 degrees so far about 50% of the time. You'll get there just keep playing.